Did you ever have this feeling while watching a movie that you have already seen the actress in some other movie or you have recently seen a specific hero in an action flick but can’t remember the name? Sometimes you get into heated arguments with friends over the actress acting in a role which turns out to be actually someone else entirely? How could you be so confused? It’s not your fault because there are many superstars who look alike and have many puzzling over their strange facial likeness. 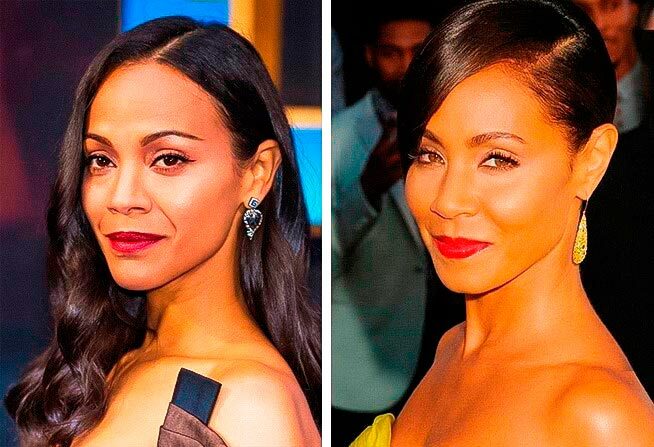 WheeBuzz brings you 30 celebrities who look is alike, it’s uncanny. Dinah Jane can easily be Beyonce’s stunt double and her sibling too in a role because they both look exactly the same. It could be that Dinah styles herself like Beyonce which includes her hairstyle and makeup additionally they both have similar curvaceous figures and face cut which makes them look like twins. 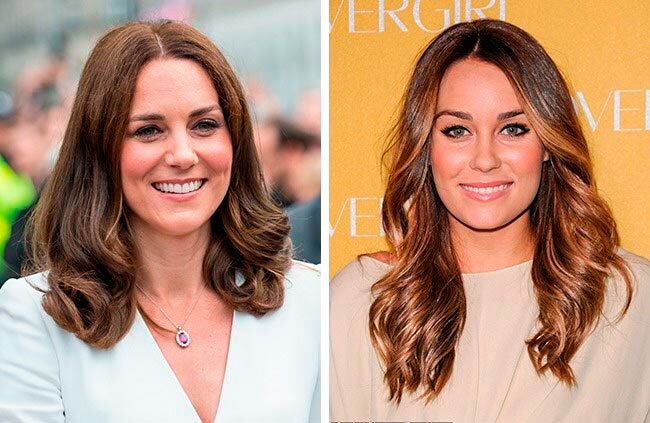 Lauren Conrad can be easily passed out as the American Kate Middleton or Duchess of Cambridge as she looks more like her sister than Kate’s real sister Philipa ever did. How is it possible? Well blame it on the same facial structure and smile, even the hair color and styling which is very similar and makes Lauren Conrad, Kate Middleton’s American doppelganger. Jessica Lange has a look-alike in Caitlyn Jenner! Who could have thought that this male ex-Olympic athlete turned female socialite would someday be recognized as the famous actress doppelganger, but they do look the same, don’t they? They both have the same flat jaw line, hair color, and face cut. These singers have many things in common, a powerful voice, talents, good looks and they look the same too! Yes Rita is all British and Rihanna is a proud Barbados power child but they have so much facial similarity that they can pass off as sisters. 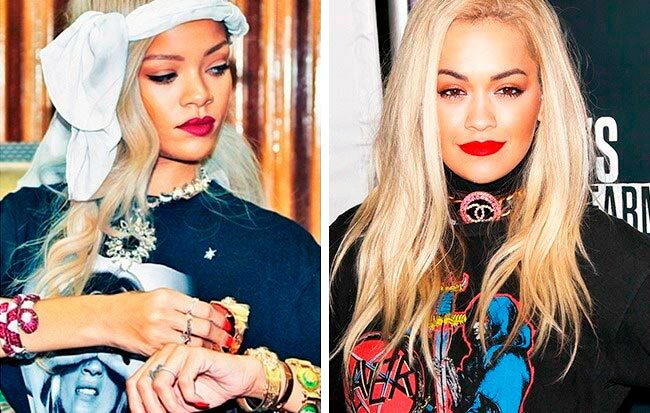 Rita and Rihanna both have the dark complexion with bleach blonde hair; they also have similar dressing and makeup style. Kim Kardashian looks very much like Naya Rivera the actress, singer, and model. They both could not be more different and look exactly the same. They both have a rich olive complexion with raven black hair with similar face cuts and lips which makes them a yet another celeb look alike in our list. 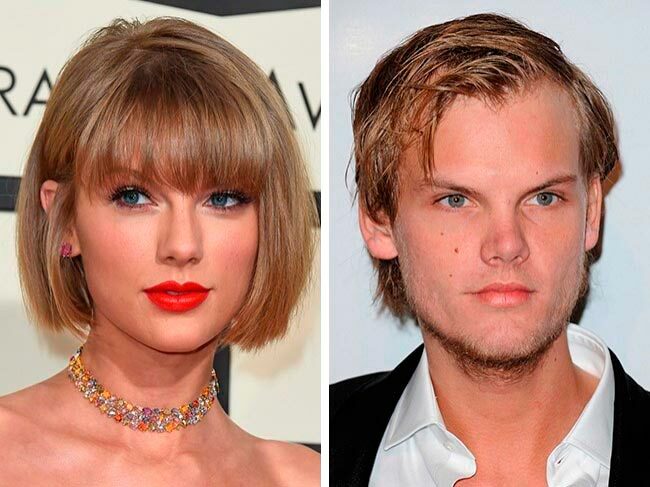 Yes, we know it’s really weird that members of 2 different genders are in this list and they are not even distantly related to each other but here they are…Taylor Swift the Pop sensation who has her doppelganger in Avicii the famous Swedish DJ and composer! But if you look at them closely the small blue eyes, ruffled blonde hair, bone structure, and full lips make them look like twins. These two both have the same face, hairstyle and facial profile. They both even sound the same in the movies (when Thandie is not speaking in her British accent). It’s too much to handle. It would have been so much easier for all of us if they were actually related. If you thought all the previous examples were too much to handle have a look at this pair and your head would reel. Elizabeth Banks is an American singer and actress and Chelsea Handler is standup comedian, actress, and show writer. But they must have been related in their past lives as they look exactly the same now. Sandra Bullock is lucky to be so well established and a household name that now she cannot be threatened by the existence of her doppelganger in Hollywood named Roselyn Sanchez. Jokes apart, this Puerto Rican singer, dancer, and model would have given Sandra a run for her money if she was in the same time and league as her as they both look the same with long black hair, dark eyes, and similar smile. Logan Marshall-Green is an American TV and movie actor while Tom Hardy is an established English actor, producer, and model who by the way look the same. No there is no family tree nearby which could even distantly relate them but they are so similar to look at that they needed to make it worse for all of us to grow a beard too making them identical now. Finally, how this list could be finished without mentioning these two prodigious young actors who could even pass off as blood brothers, just that they are not related at all. Elijah Woods is an American actor and best known as Froddo of the “Lord of the Rings” whereas Daniel Radcliffe was the world famous Harry Potter. But both of them are short built, petite, with bright hazel eyes, highlighted by their dark hair. They also have a similar face structure with pouty lips and smile which makes them dangerously similar to look at. Emily Kinney is an American actress, singer, and songwriter known for her roles in Walking Dead Series. Evanna Lynch is an Irish actress and vegan activist best known for her roles in the famous Harry Potter movies. 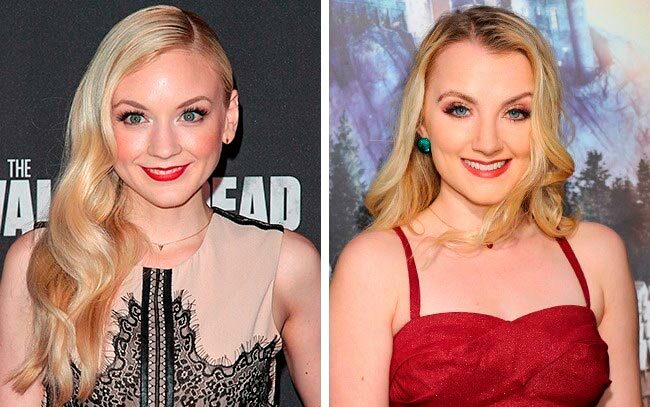 Born and bred across the pond, these 2 actresses could as well be sisters as they both look alike.